Do you wish you were more informed about the District 97 funding referendum? Come to a Debate on March 15! Presentations will be short. There will be ample time to get your questions answered! Two Great Events In Our Neighborhood on September 11th! Mark your calendars for two great family events coming to our neighborhood on September 11th! NOTE: Link includes info on Movie Night which was held on August 27th. Fire truck from 2 – 3:00pm. Bounce Houses, live entertainment, children’s games, business and organizational fair. Friday, Sept. 10, 6 p.m. to 10 p.m.
stay open with special guests and events. Saturday, Sept. 11, Noon‐8 p.m.
• Over 50 artists exhibiting on the sidewalk. • Fun scavenger hunt for kids between noon and 7. Earn a prize! from the unique boutiques in the Arts District. Restaurants, galleries & boutiques will be open! 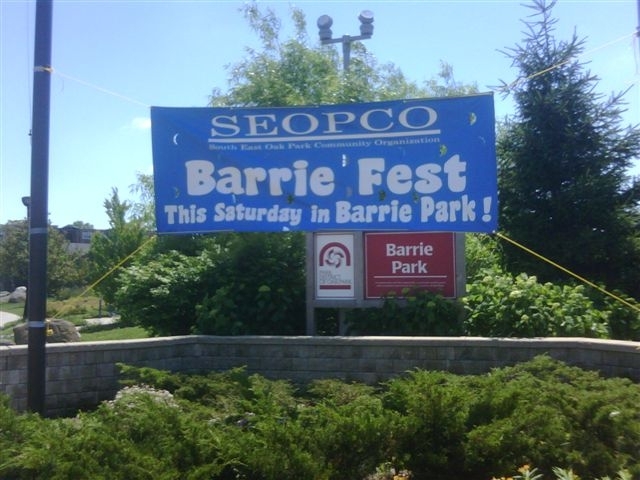 Barrie Fest offers you a great opportunity to increase your exposure to the community. For $25 ($20 non-profit), secure a space for your table at the business/organization fair. See attached for details.